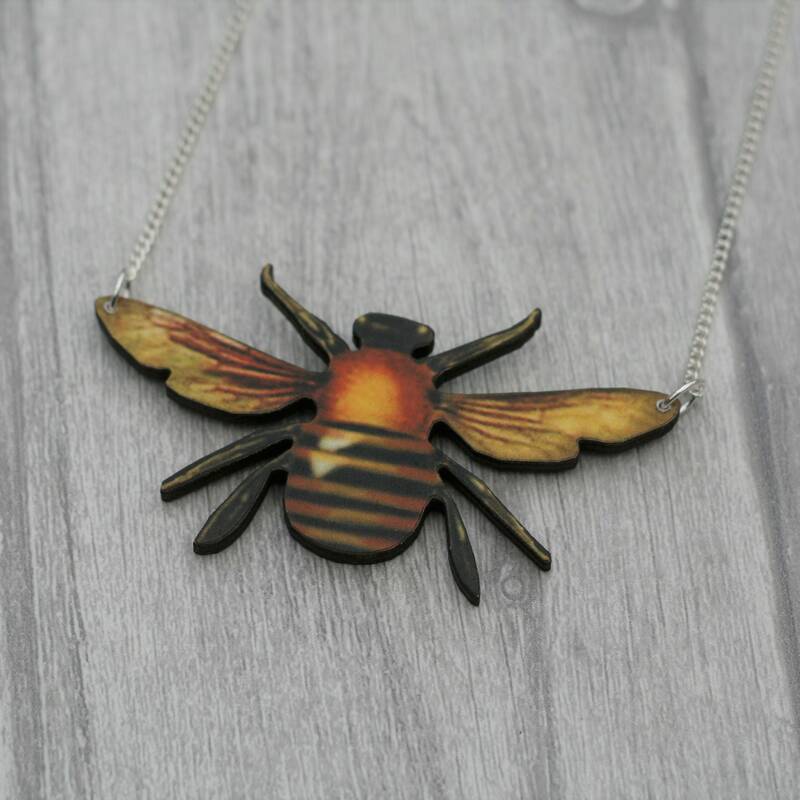 Wooden Bee Illustration Pendant Necklace. This beautiful bee necklace has been made by adhering a bee image to 1/8” (3-4mm) thick wood board and then laser cutting to shape. The reverse of the bee pendant has been painted black. The pendant has then been added to an 18” (45cm) silver plated split chain. • All bee necklaces come with an 18” (45cm) silver plated split chain. 24” (60cm) silver plated split chains are also available. Please let me know if you would prefer this option.